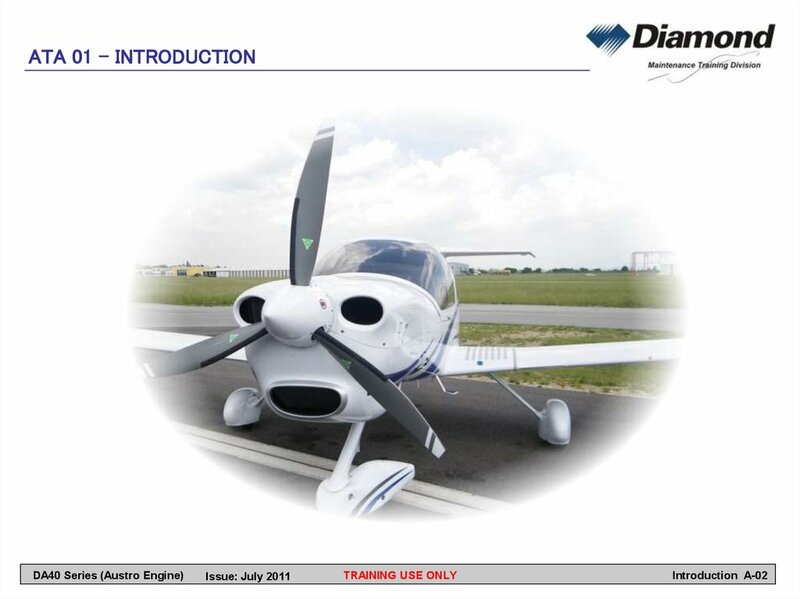 - The DA40NG Illustrated Parts Catalogue. 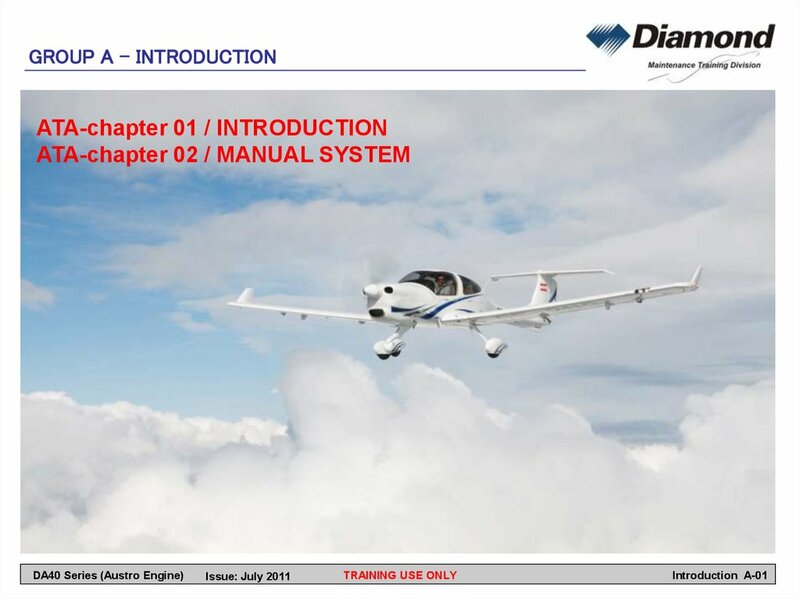 - The DA40NG Airplane Flight Manual. 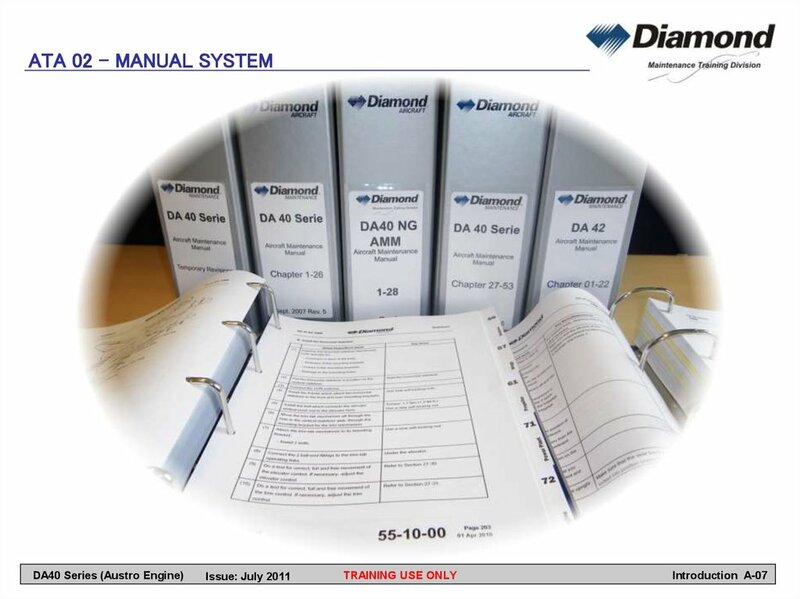 - The ELT Manufacturer’s Operator’s Manual. - The mt-Propeller Owner’s Manual. - The Austro Engine Operation Manual, Doc. No. E4.01.01. 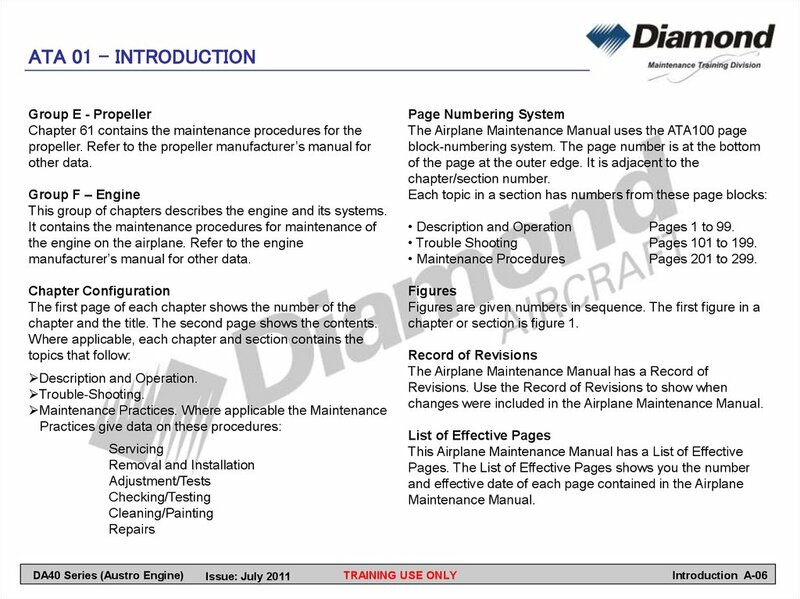 - The Austro Engine Maintenance Manual, Doc.No. E4.08.04. - The Austro Engine Installation Manual, Doc.No. E4.02.01. 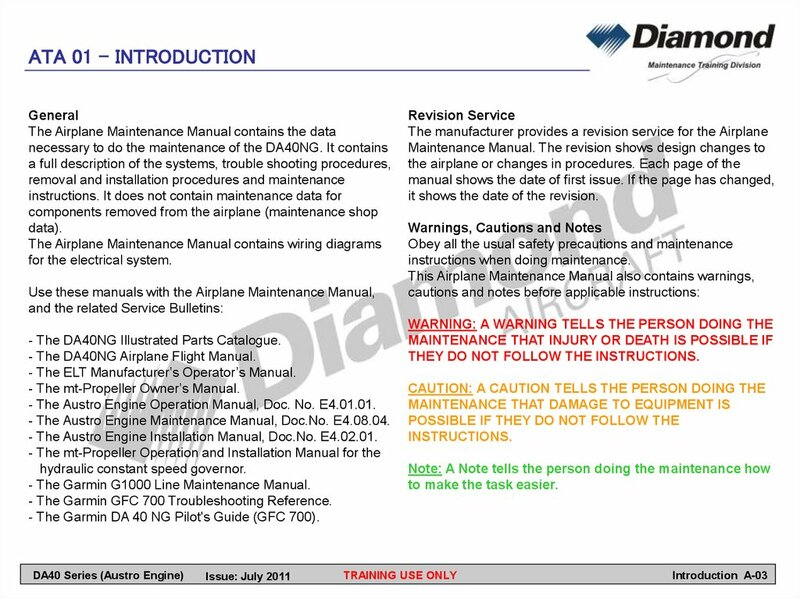 - The Garmin G1000 Line Maintenance Manual. - The Garmin GFC 700 Troubleshooting Reference. - The Garmin DA 40 NG Pilot's Guide (GFC 700). it shows the date of the revision. THEY DO NOT FOLLOW THE INSTRUCTIONS. to make the task easier. America Specification 100 (ATA 100). meanings and selected parts of speech. Manufacturing processes as defined in the SE Guide. wings. 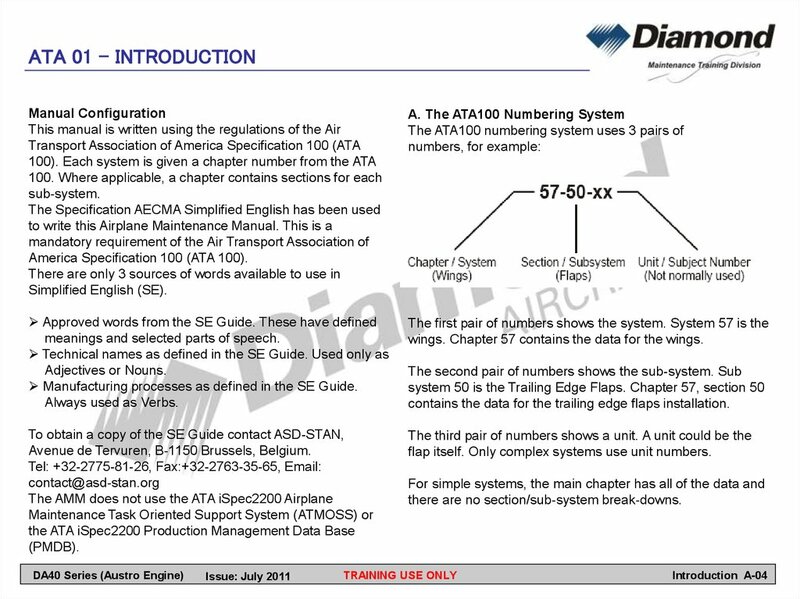 Chapter 57 contains the data for the wings. Avenue de Tervuren, B-1150 Brussels, Belgium. flap itself. Only complex systems use unit numbers. 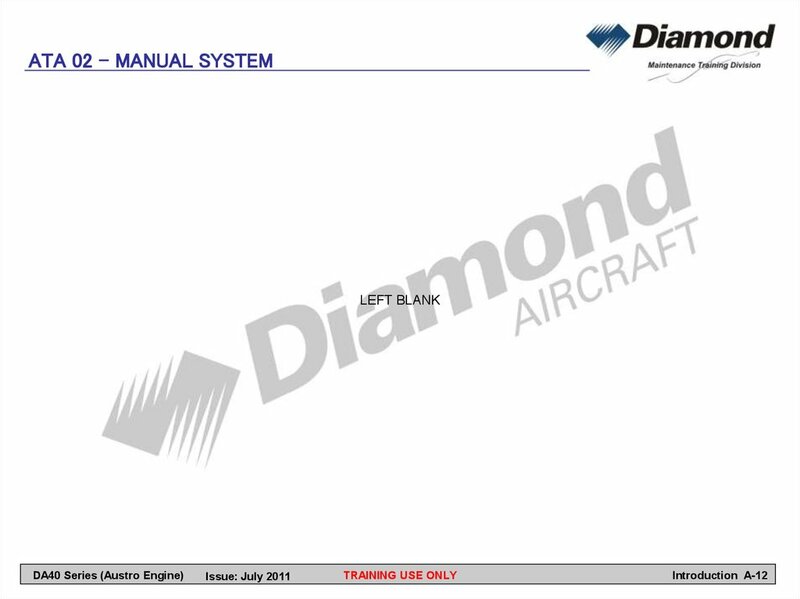 contains the data for the trailing edge flaps installation. there are no section/sub-system break-downs. 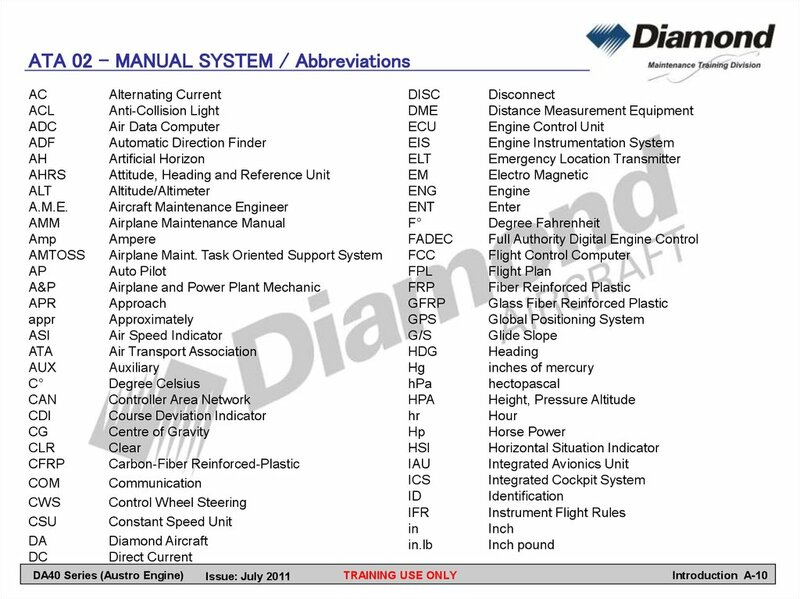 Airworthiness Limitations and certification of the airplane. Chapter 5 contains the Scheduled Maintenance Checklist. also tells you where to find general information. are important for the safe operation of the airplane. lubrication. It also contains data about cleaning the airplane. for the flap position indicator. each part of the structure. 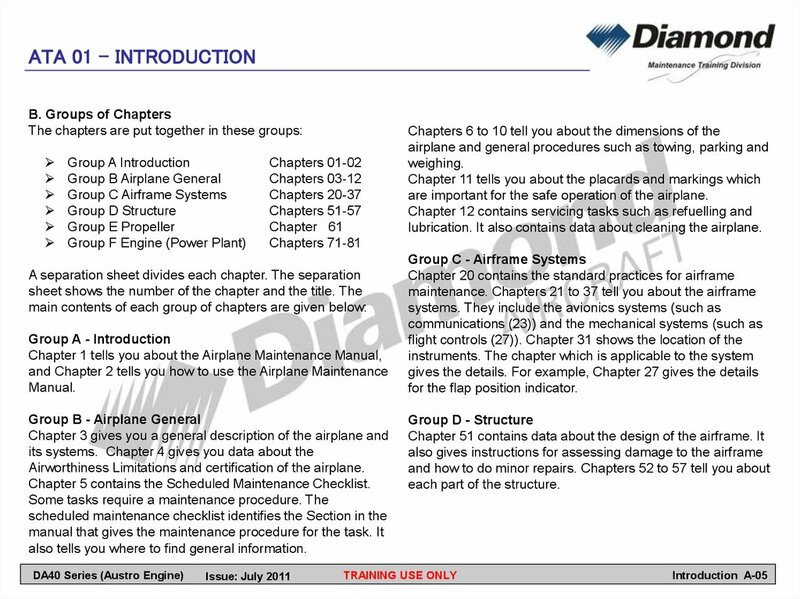 This group of chapters describes the engine and its systems. 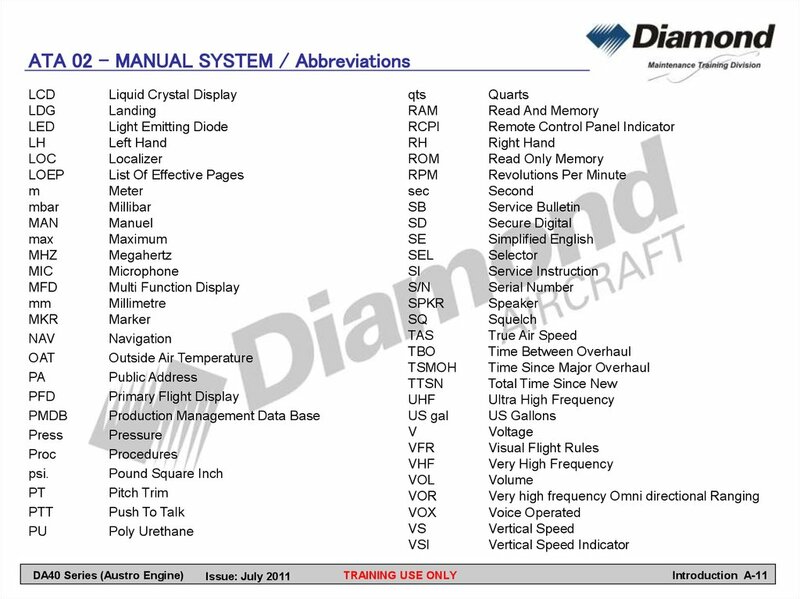 manufacturer’s manual for other data. chapter and the title. The second page shows the contents. 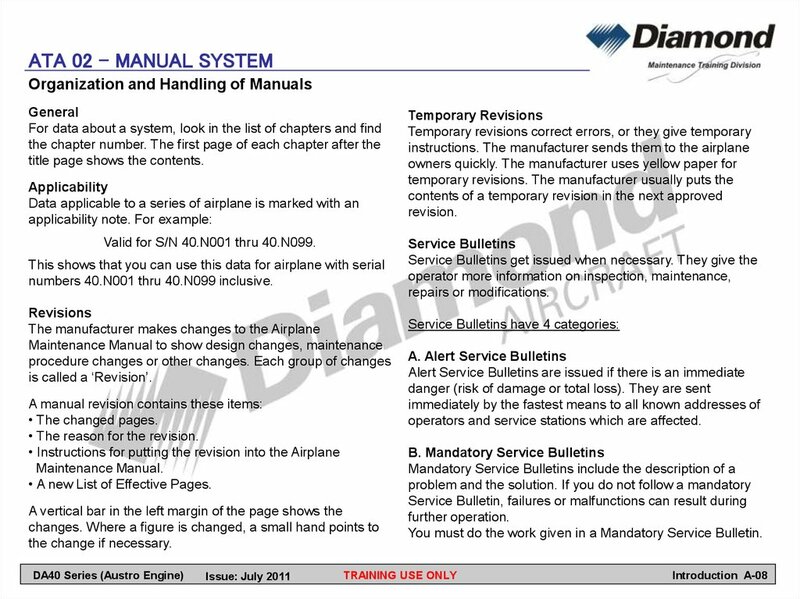 chapter or section is figure 1.
changes were included in the Airplane Maintenance Manual. title page shows the contents. Valid for S/N 40.N001 thru 40.N099. numbers 40.N001 thru 40.N099 inclusive. • The reason for the revision. • A new List of Effective Pages. operators and service stations which are affected. 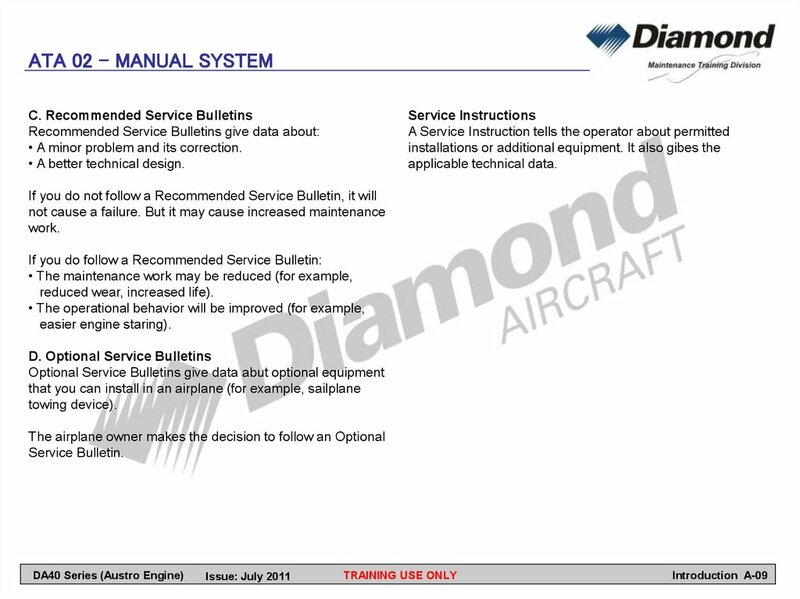 You must do the work given in a Mandatory Service Bulletin. • A minor problem and its correction. • A better technical design.